A Makeup & Beauty Blog – Lipglossiping » Blog Archive Chips for tea? Yep. Swede ones! 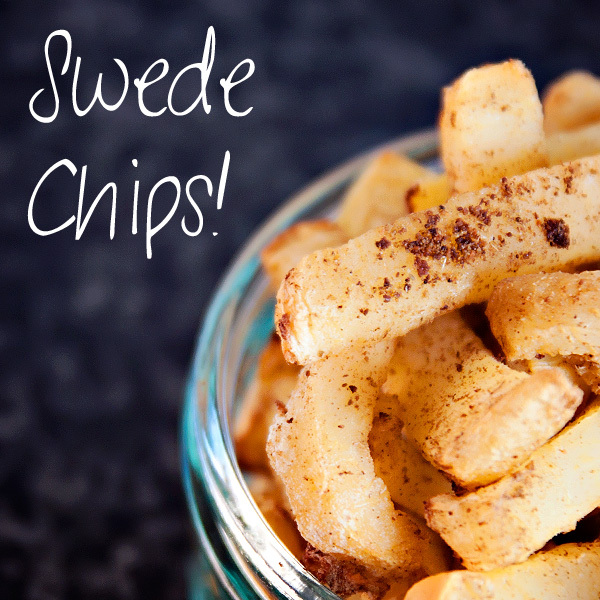 We all know what normal chips taste like (bloody amazing, that’s what), and while many of us are familiar with the delights of sweet potato and butternut squash chips… perhaps you’re not so aufait with the thought of swede ones? 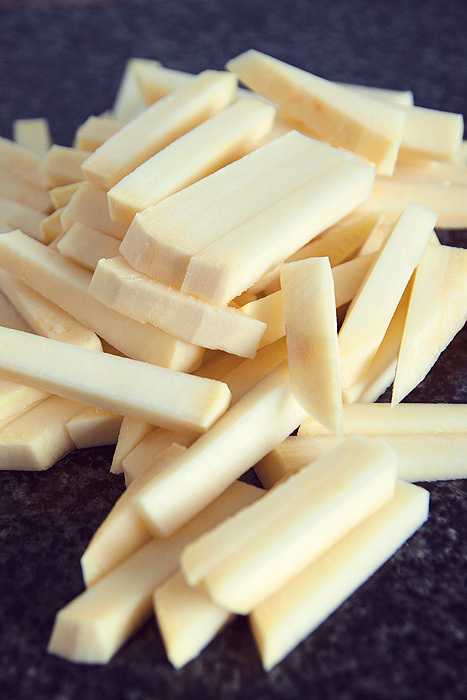 This much maligned veg, stuff of every school-dinner taker’s nightmares… surprisingly, makes one mean chip! Starting with your swede. If you’re choosing at the supermarket, go for one that is small but feels dense… that’ll result in the nicest, sweetest tasting chips of all. Avoid any that feel a bit light for their size and don’t worry about how ugly and nobbly they are, swedes run celeriac a close second for “ugliest vegetable in the aisle” trophy! Chip your swede using a sharp knife, if you’re a regular with butternut squash, a little swede will pose you no problems! Tip: Around 400/500g uncooked weight allows for a decent cooked portion for one person. Try to keep the “chips” as uniform in size as possible, I went for fairly skinny fries but you can also wedge them if you prefer a chunkier chip. Put them in a pan of slightly-salted water and par-boil them for 10-12 minutes, this step is essential if you don’t want to bite into a rock-hard “chip” when they come out of the oven later. Once drained, allow them to sit for a couple of minutes to let some of the steam evaporate… alternatively, pat them dry with some kitchen towel. 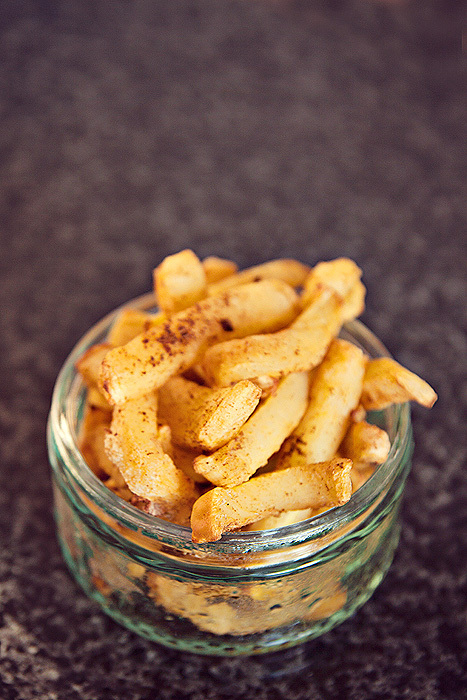 Season your par-boiled chips, I like to use cumin and chilli powder on mine, generally aiming for around 1/2tsp of cumin and a 1/4tsp of chilli. I also spray them lightly with frylight. 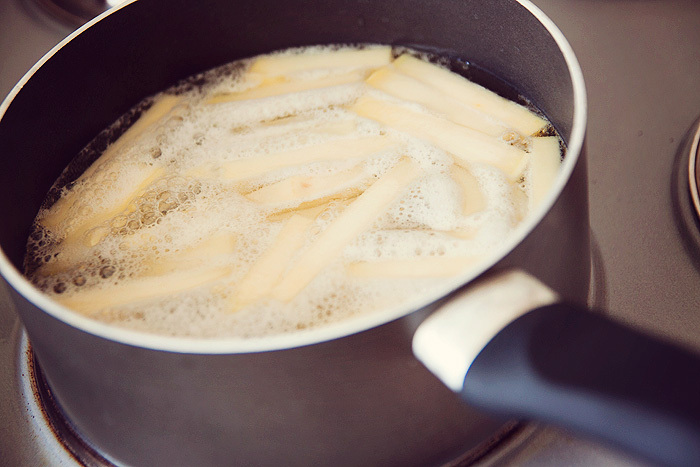 I use my Tefal Actifry to cook swede chips but you can easily do them on a baking sheet in the oven too, just crank the temperature up to 220 degrees celsius (425 fahrenheit) and be more generous with the oil if you’re cooking the conventional way! After around 30-minutes, they’re ready to go! Don’t forget a sprinkle of salt, what is any chip without it? And there you have it. The swede chip. 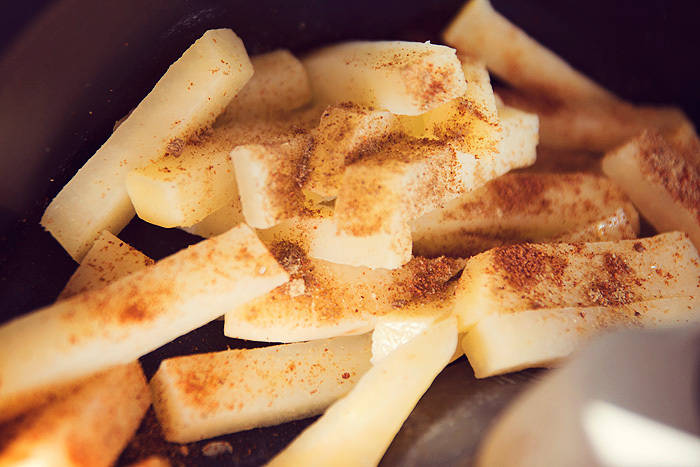 Extremely tasty, healthy, and a great low-carb alternative to the potato variety. 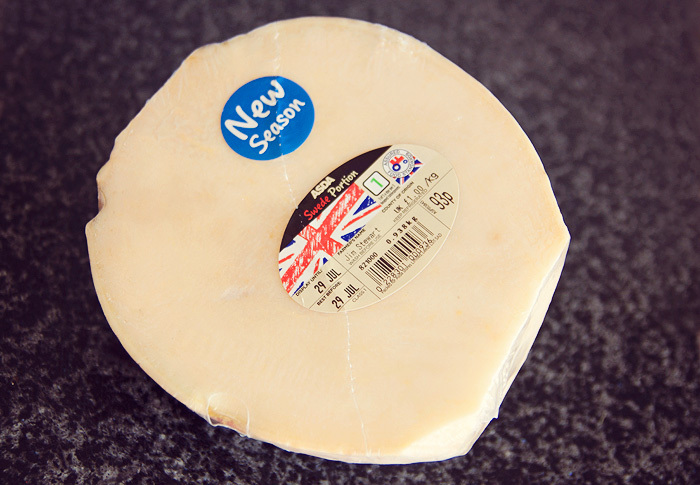 Personally, I prefer these to butternut squash ones… the texture is a little firmer and more chip-like. Excellent idea! I’m not opposed to a good old dollop of mashed swede myself but the more chips the merrier. These look fantastic! Definitely going to have a crack at these this weekend. Also I just wanted to say your photography for this post is amazeballs! I know this is meant to be a healthy post and I fully support it, but I cannot and will not ever be able to eat a surrogate chip. It makes me sad just thinking about it!